City Hyde Park is a visionary mixed-use tower at the heart of one of Chicago's most vibrant neighborhoods. 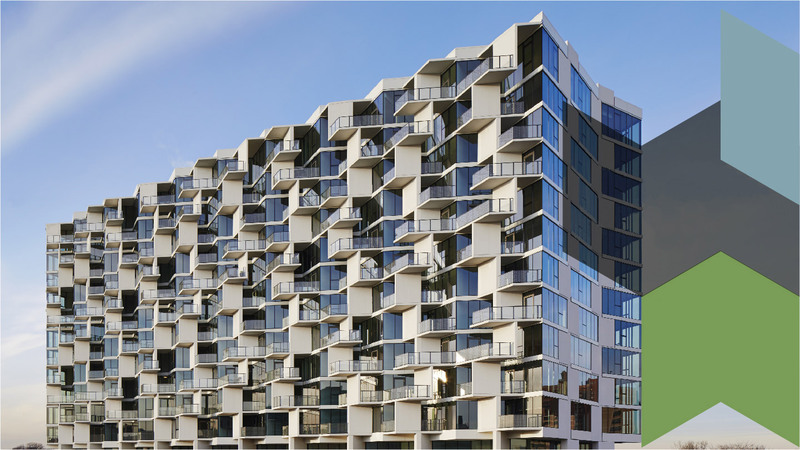 In addition to a wide variety of community amenities, its design provides unparalleled views of the skyline and Lake Michigan, fostering connections to the neighborhood and city beyond. The building's innovative concrete panel structure pirouettes from one floor to the next resulting in a vertical array of bays, balconies, and sunshades that frame dynamic interior and exterior spaces. With outdoor gardens, a fitness center, and close proximity to world-class parks, recreational venues, and cultural offerings, City Hyde Park is a community with wellness at its core. Just an elevator ride away from the ground floor, Whole Foods Market and a few steps from Metra and express buses, residents are at the epicenter of Hyde Park while connected to the city as a whole. Photo by Steve Hall © Hedrich Blessing, courtesy of Studio Gang Architects.